AC Web - AC Web is 10! To celebrate, we will have a cake bake competition. 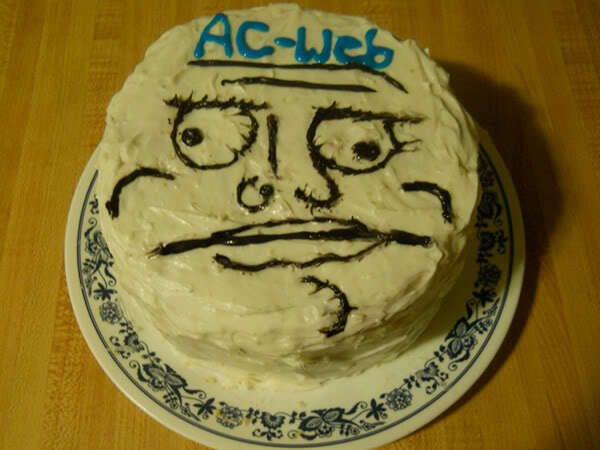 Members must bake a cake to celebrate AC Web's 10th birthday and post a picture of it in the submissions thread. The best cake will then be voted for by the community. 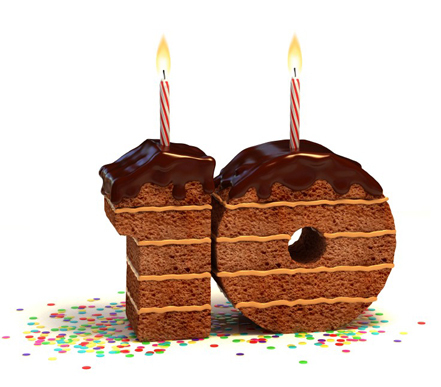 The cake can be decorated in any way you like, but must include the text AC Web, and include an indication of our 10th birthday, whether that be 10 candles, the number 10 in icing, or candles in the shape of the number 10. This is a repeat of a competition we had in 2011, see this thread for ideas (although many of the pictures are no longer available). The winner will receive a rank promotion. If the winner is currently below power user, they will be promoted to super power user. If the winner is either power user or super power user currently, they will obtain the legend rank. The winner will also receive a 12 month server listing sticky, access to the VIP forum, and a custom award for winning the competition. The deadline for submission is a month from today – the 21st of June. Submissions must include pictures of their cake from three different angles. Good luck!